President of the House of Representatives, Mohamed Halabousi, on Tuesday, with the President of the Coalition for Reconstruction and Reform Ammar al-Hakim, six important files, notably corruption. 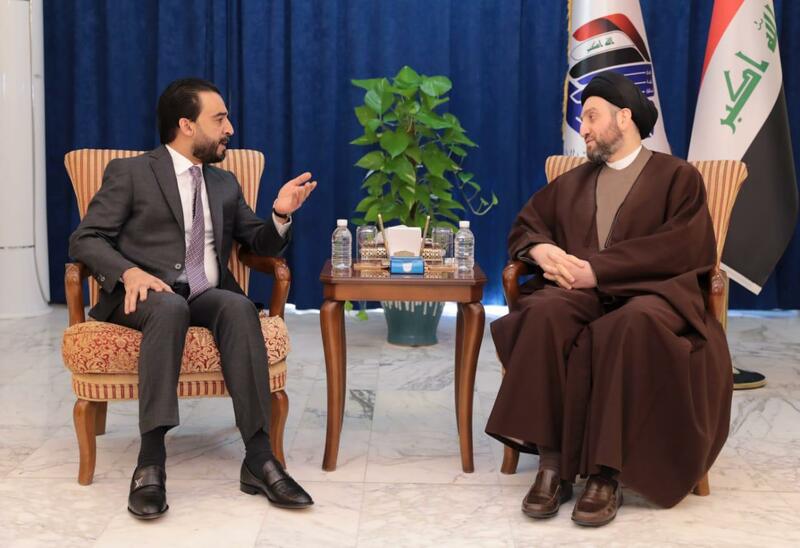 "The Speaker of the House of Representatives Mohammed Al Halbusi met today, the head of the Alliance of Reform and Reconstruction Ammar al-Hakim," the Information Office of Halaboussi said in a statement received by Mawazine News. The office added that "the meeting was discussed during the political developments in the country, and dialogues of political blocs; to complete the government cab and resolve the remaining ministries, as well as ways to support the government; to implement the government curriculum and strengthen state institutions.